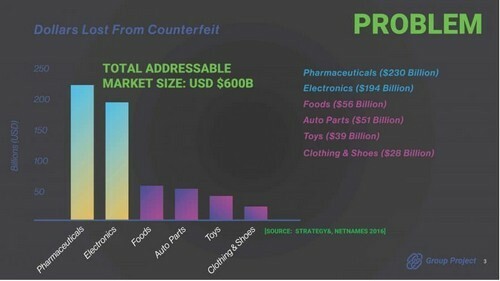 Counterfeiting is big business, worth an estimated $461bn. That is a lot of cheddar, and many gangs want in. Fake goods have been around as long as there have been goods to speak of; it’s a centuries-old scourge. The advent of the internet heralded a meteoric rise in the counterfeiting business with the online world becoming an instant hit with false traders accessing the safe haven to set up a virtual stall anywhere in the world, sell their dodgy wares, and vanish into the online ether with their takings. Counterfeit goods regularly circulate around markets, and the best fakes can fool most people into parting with their money. Group Project is a new ICO that proposes to establish a line of defense for traders, manufacturers, retailers, and consumers using a crypto-tag as its weapon of choice. Group Project’s fight against counterfeit goods hinges on its proprietary device, the Crypto-Tag. This device is a digital tag that stores manufacturer-specific data so that the item that the tag is attached to can be identified as genuine. This data will include who the original manufacturer was, when and where it was made, and when it arrived at an authorized reseller. Transactional data will be entered into the blockchain at every step of the way through the supply chain. 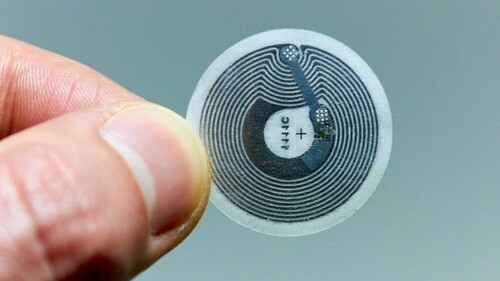 On the consumer side, the end user will use an app installed on an NFC-enabled device to scan the item and verify the data provided by the tag. Learn more about the Crypto-Tag here. As with any other ICO, the company will issue its own currency, the Group Project token (GRUP), which is based on the Ethereum ERC-20 Standard. Learn more about Group Project’s team here. Here are the SM numbers for Group Project at the time of writing (early April 2018). This ICO’s presence on Social Media is negligible, which means it is a non-entity at this point in time. The team behind Group Project will need to do a lot of work to extend the company’s reach. There are currently a couple of ICOs operating in the same environment as Group Project. Stopthefakes and Checkitsreal offer similar propositions. Still, it stands to reason that the more ICOs fighting counterfeited goods, the harder it will be for dodgy items to reach the market. In other words, there is still breathing space for this type of ICO, which may make all the difference for its long-term survival. See Group Project review on ICOBench. Consult the Group Project whitepaper for more information about the platform, additional features and services, etc. The fight against counterfeiting rages on, both online and offline. It is an uphill battle, as bad guys always find new ways or new products to imitate and sell. This dynamic requires a multi-pronged defense, played out across the blockchain battlefield and elsewhere. Group Project enters the fray with effective weaponry (at least on paper), in the form of the Crypto-Tag. This device should guarantee the authenticity of a given product, as long as that product exists in the blockchain. If there is one criticism that can be leveled against this ICO, is its very name. ‘Group Project’ is a completely nondescript term, which could mean anything. The ICO needs to offer a better definition of itself.